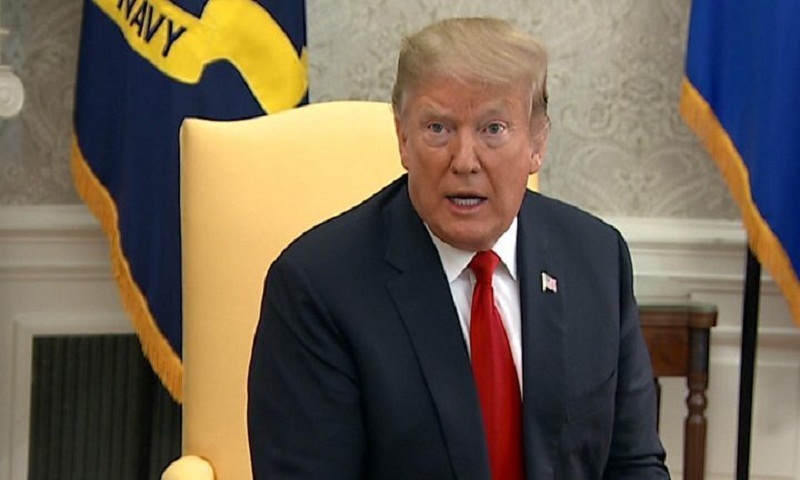 President Donald Trump says his enemies who did "evil" and "treasonous things" will be under scrutiny after he was absolved of colluding with Russia. Speaking in the Oval Office, he said no other president should have to be investigated over "a false narrative". He spoke a day after the attorney general released a summary of Special Counsel Robert Mueller's completed report. "There's a lot of people out there that have done some very, very evil things, very bad things," Mr Trump said, "I would say treasonous things, against our country." "And hopefully people that have done such harm to our country, we've gone through a period of really bad things happening. "Those people will certainly be looked at, I've been looking at them for a long time.